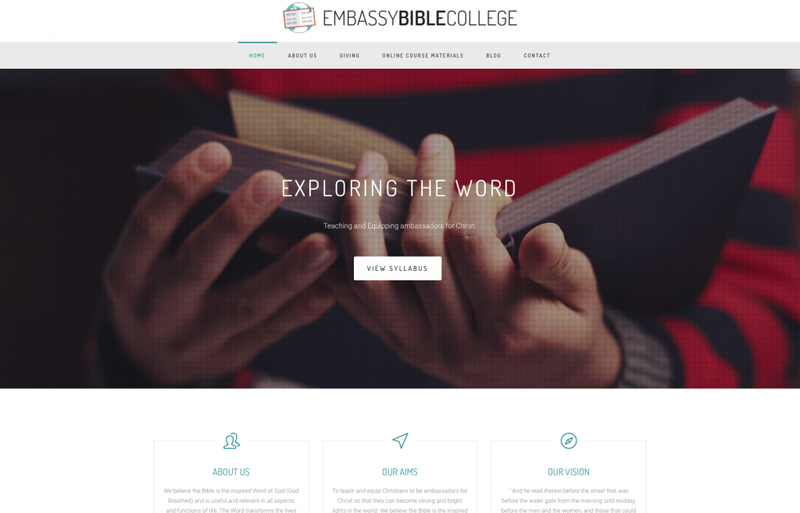 MEDIA SUSSEX have a longstanding relationship with Embassy Bible College. Originally based in Bath, the college asked us to produce a web application to enable people to take the course online in 2012. 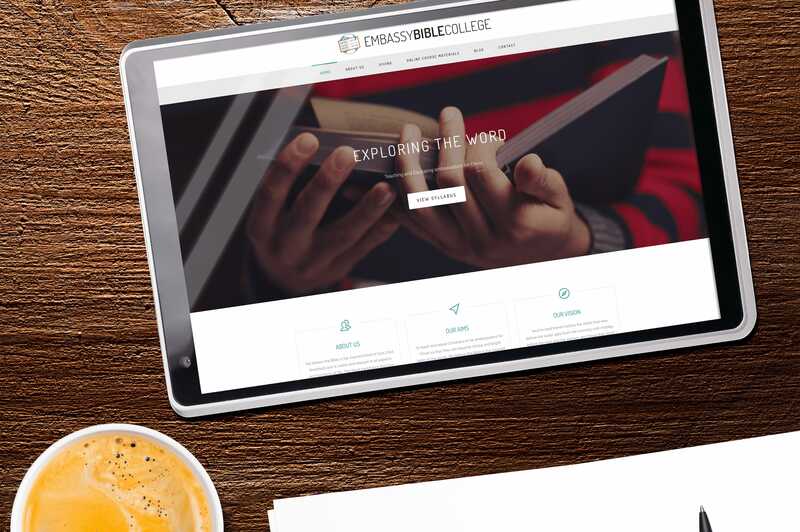 In 2016, we were asked to revisit the online college and redevelop the application into a streamlined website along with brand-new, fresh, branding. 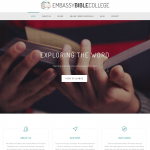 The new logo and website for Embassy Bible College was developed in late 2016 and went live in October. The key aspects of the site were it’s capacity to stream the online videos as well as to present the new brand for the college.